"This magnificent building stands in the heart of Newark as a powerful reminder of God's steadfast love for his People and as a sign of faith in Christ, our 'hope of glory.'" 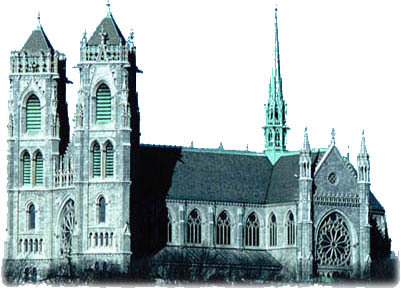 Welcome to the Cathedral Basilica of the Sacred Heart website! We hope you enjoy your virtual visit to this National Historic Landmark church and are inspired to visit the Cathedral Basilica in person. Website maintenance and photos provided by quiet heart images.